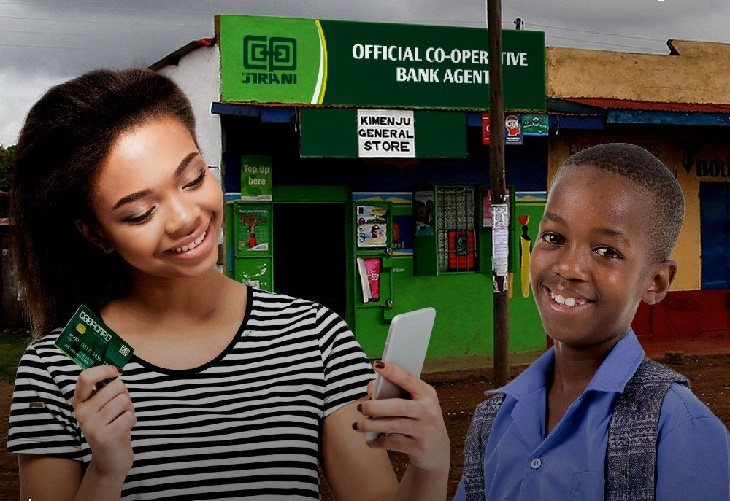 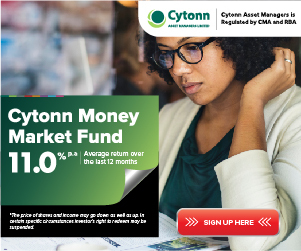 Co-operative Bank of Kenya has refuted claims that it is among the ten banks being investigated by the Central Bank of Kenya and the DCI over their role in the ongoing National Youth Service (NYS) scandal. 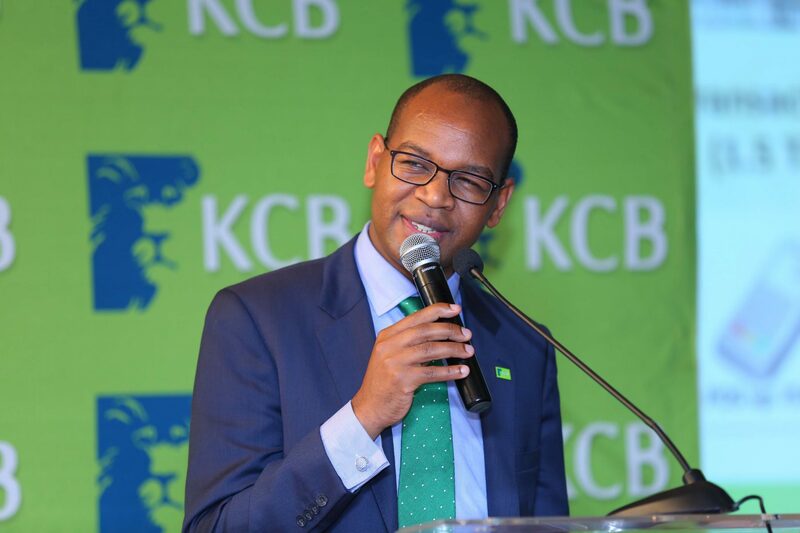 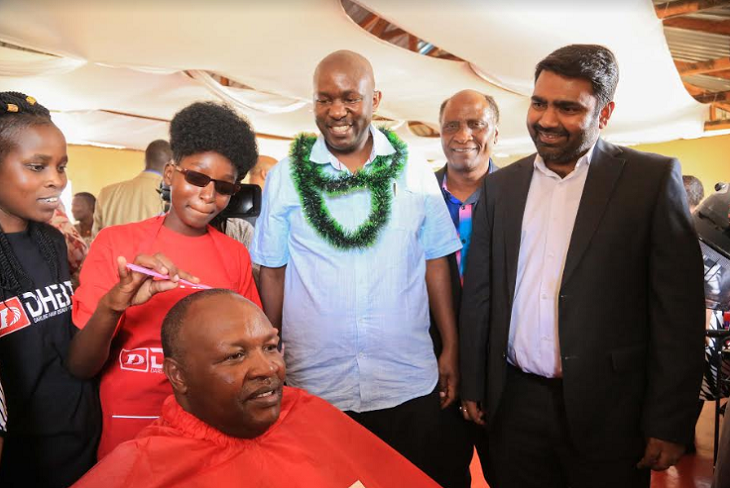 On Thursday, one of the local dailies had published an article with the ‘list of banks’ under investigations with Co-operative Bank of Kenya being among them. 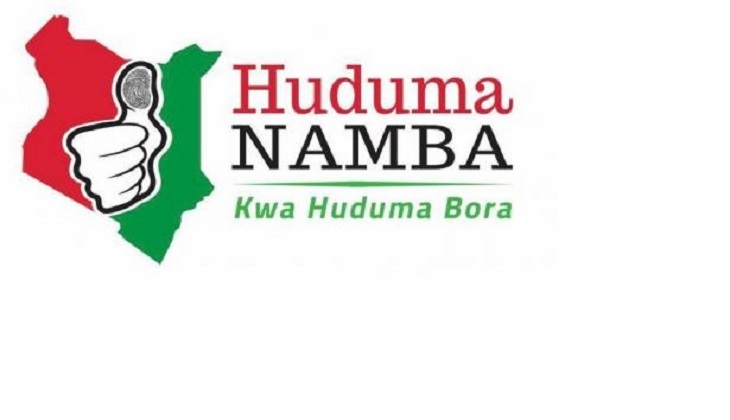 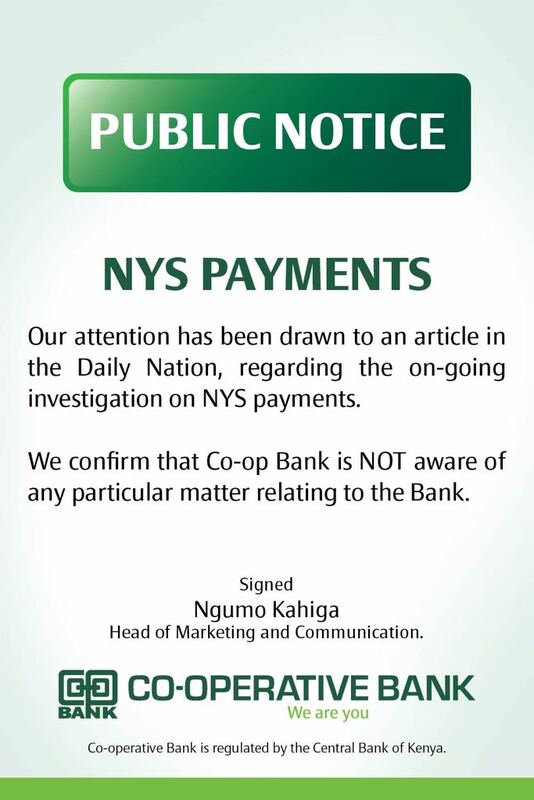 In a statement sent through their social media channels, Co-op Bank has said that it is not aware of any particular matter about NYS relating to the bank.